Hello Friends 🙂 I’m so glad to be back from our recent trip to sunny Florida, where we swam, baked in the hot sun, met Chewbacca, went on what felt like a thousand Disney rides, and the girls even got to fight Darth Vader!!!! So fun. But…. as nice as a vacation can be, coming home is always like a big warm hug. 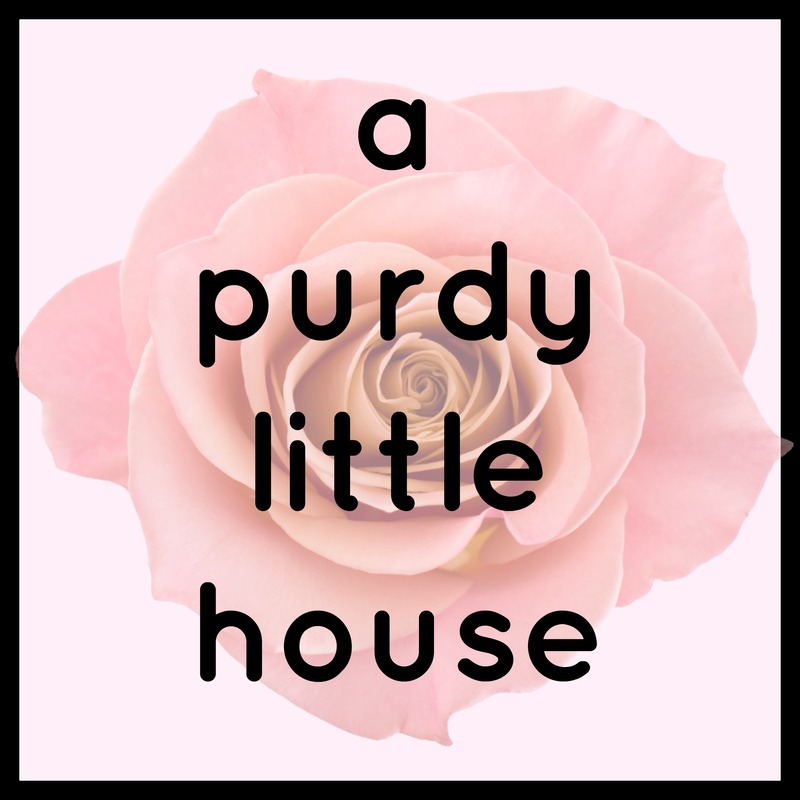 Be is ever so humble, and all that jazz…. We were surprised to see that our tulips and daffodils had also sprouted while we were away, and that’s what makes this post so fitting for this time of year. 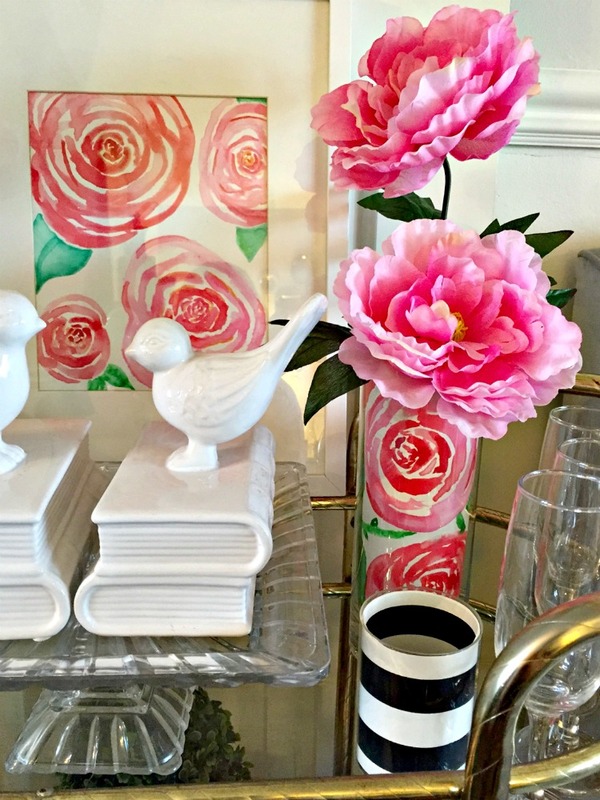 In this post, I’ll show you how to create DIY art for Spring décor. 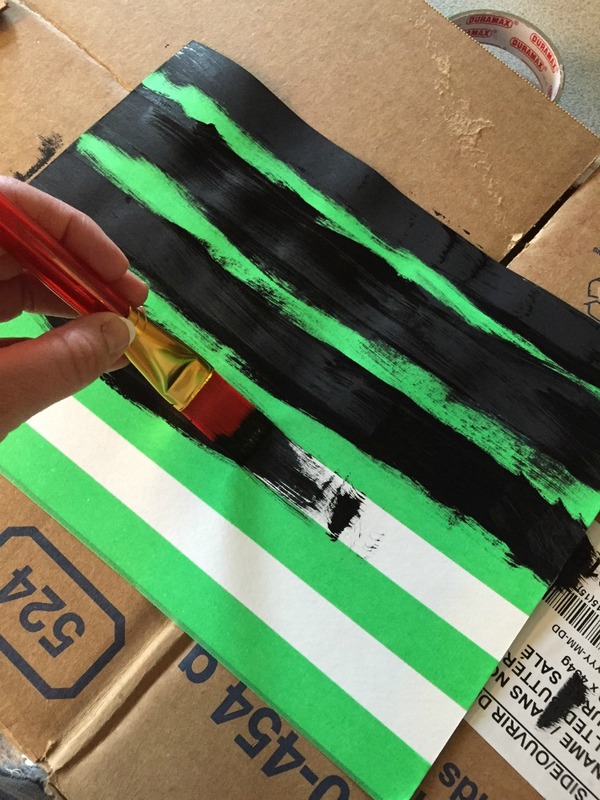 For the #30dayflip challenge for the month of April, the theme is DIY Art. 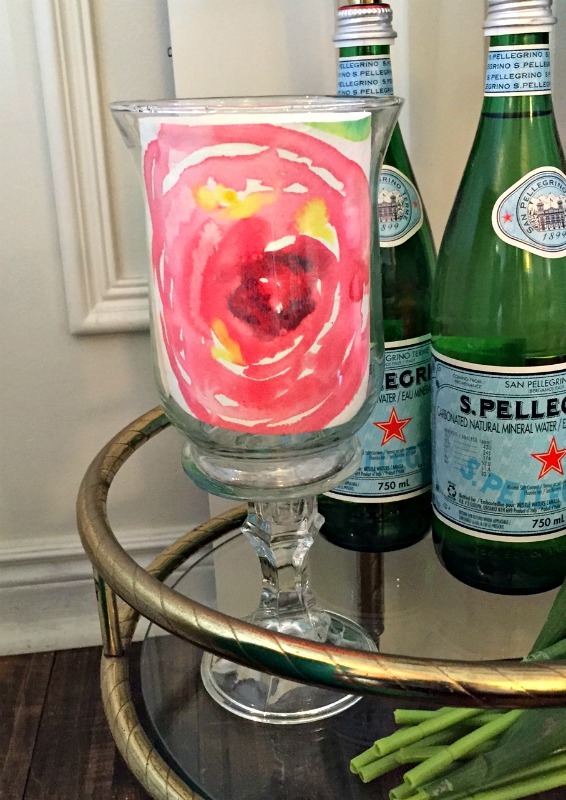 I’m a gonna show ya how I made a custom watercolour painting and these fun vases. I’m going to start by making it clear that I. AM. NOT. AN. ARTIST. Lol. I can’t draw, paint, and I often buy entire outfits that are displayed on mannequins because I’m that artistically challenged. Oh yeah! Seriously though, my 7 year old can paint better than I can. But, since this is an art challenge, I decided to jump in. 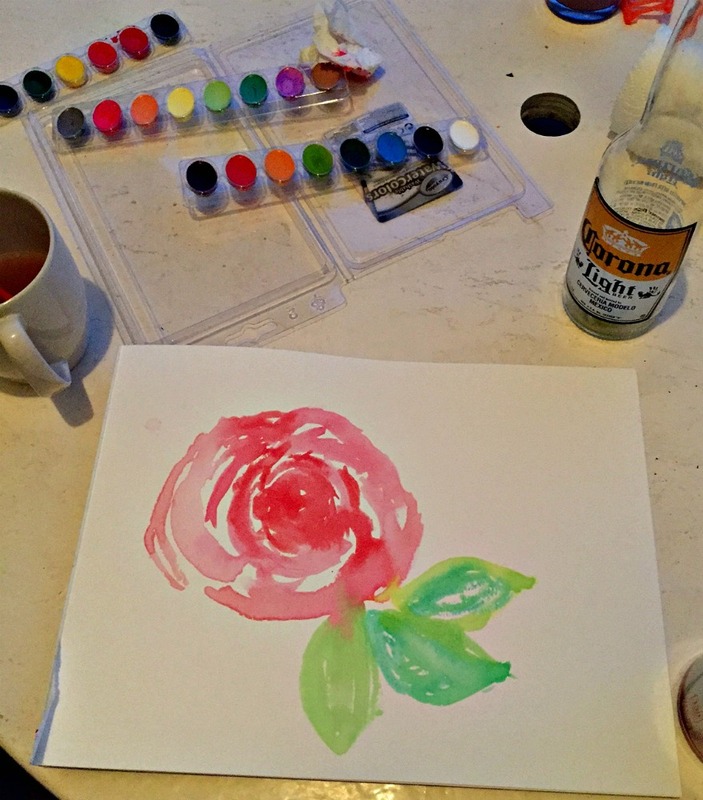 I drank a beer or two (true story), and tried to paint some roses using simple kids Crayola watercolour paints. Let me tell you, watercolours are hard. The colours sort of bleed into each other and that can be tricky, but that’s what also makes them so beautiful when they dry. 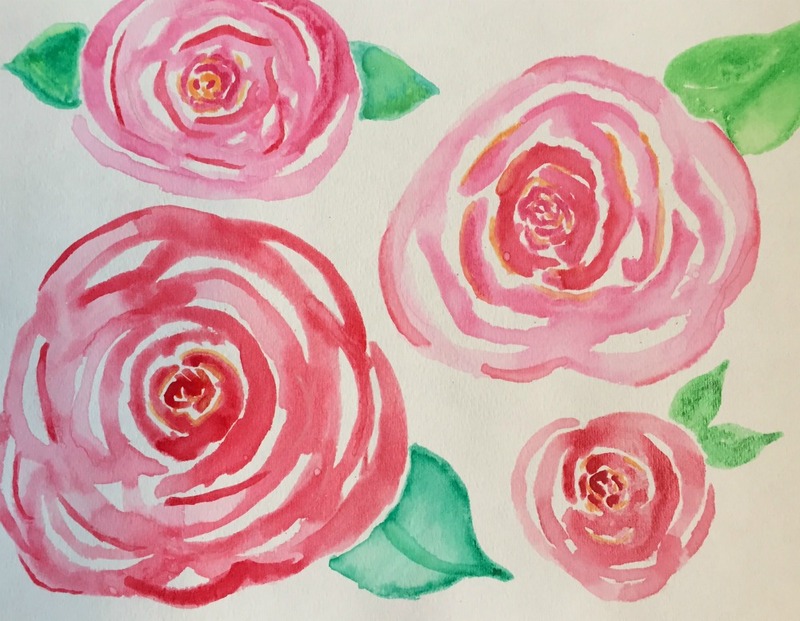 I played around with painting roses until I got the look I was going for. I would recommend a heavy paper for this, since the paint is quite wet and regular paper would wrinkle. 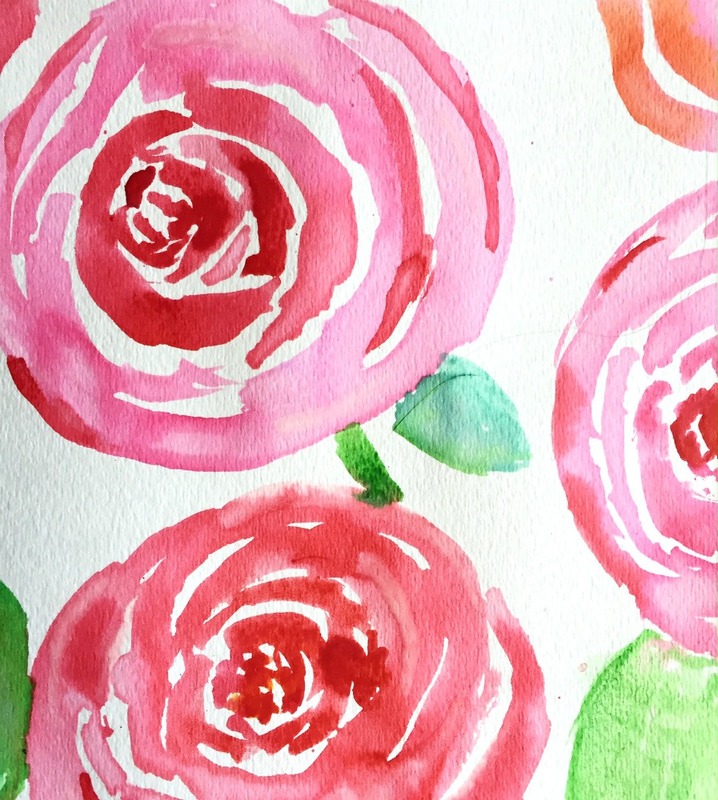 Because I love you all so much, here is a Free Printable you can download if you are looking for some amateur art work for your Spring Decor or to put in your own vases. Okay, back to the project. I had several glass vases (from the dollar store) lying around, and I started out by cutting the artwork to size, so it matched the height of the vase. I then rolled it up, and placed it inside the vase. 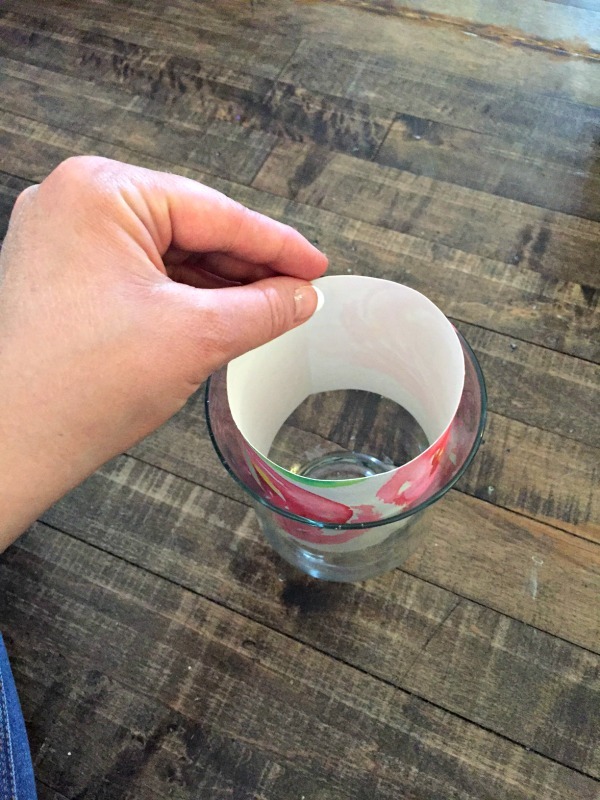 Tape helps with this step too, but you can totally free-style it if you want. There it is all ready for display. 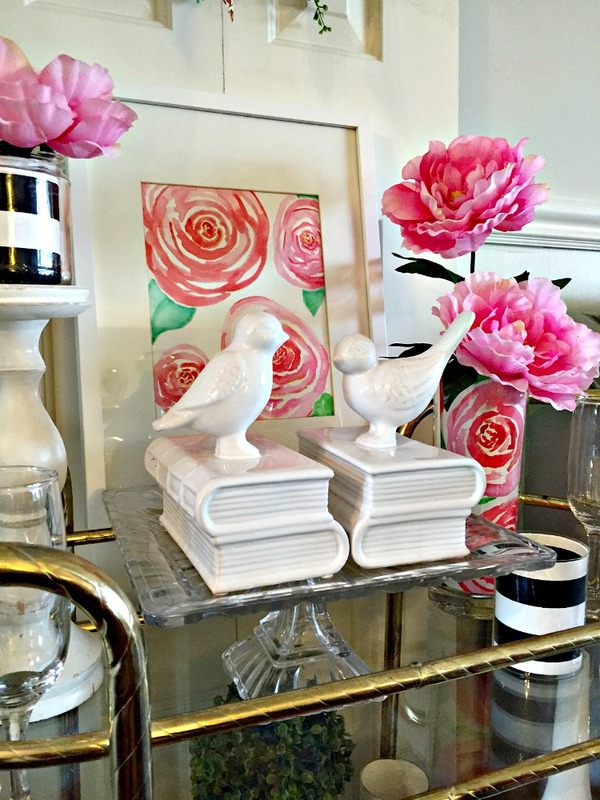 The best part about this project is that it is totally customizable for any decor or occasion. 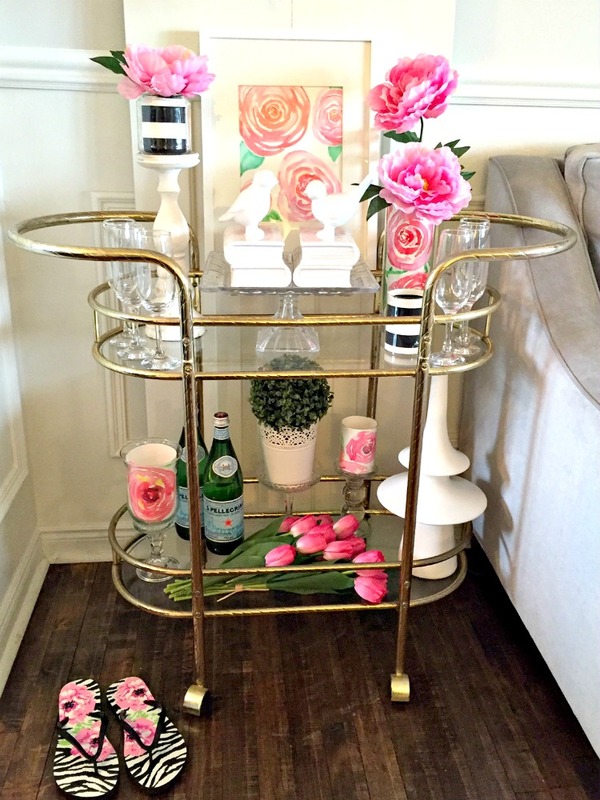 Here is the artwork displayed on my barcart, as well as in several vases. 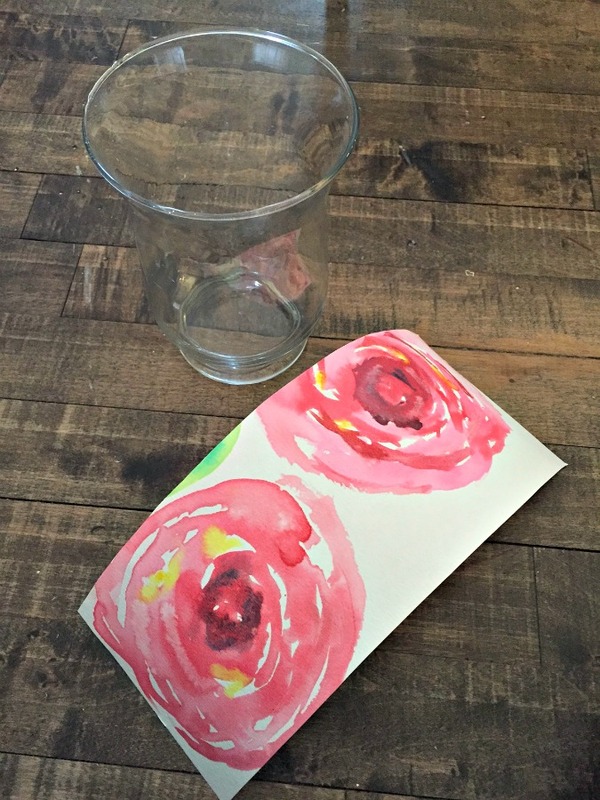 The inspiration for these watercolour flowers was this gorgeous cushion that I found at Walmart of all places. 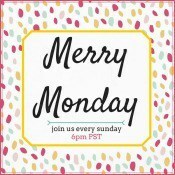 Woo hoo!!! Here is a close up of the tall vase, with some faux peonies in it. I also created some striped black and white artwork to go along with the display. Here is the entire vignette. I ran out of vases, so the stripey one on the top left is just a salsa jar I cleaned out. Gotta work with what you’ve got, right? 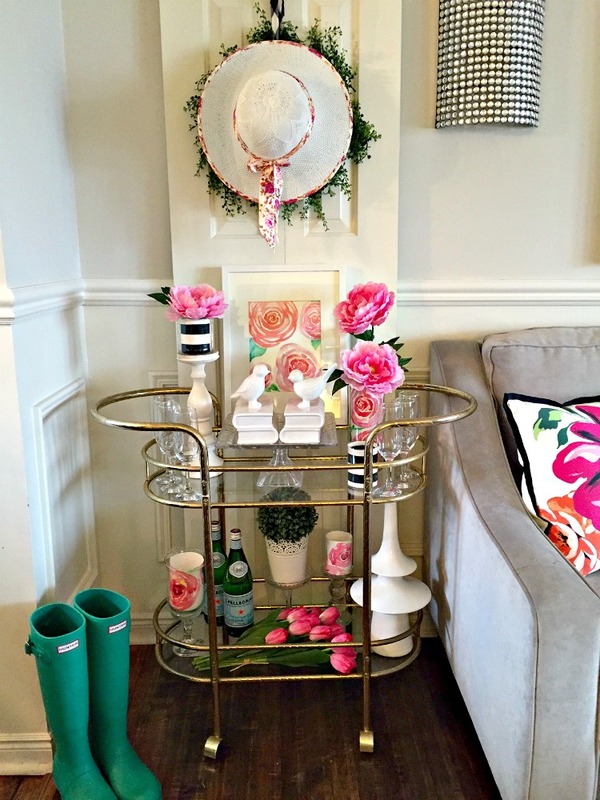 I LOVE how it turned out, and that the watercolours co-ordinate perfectly with the vases. It’s also just in time for Mother’s Day. The hat was picked up at the dollar store, and matches the vignette perfectly, so I secured it in place with a safety pin. Oh this is too cute! 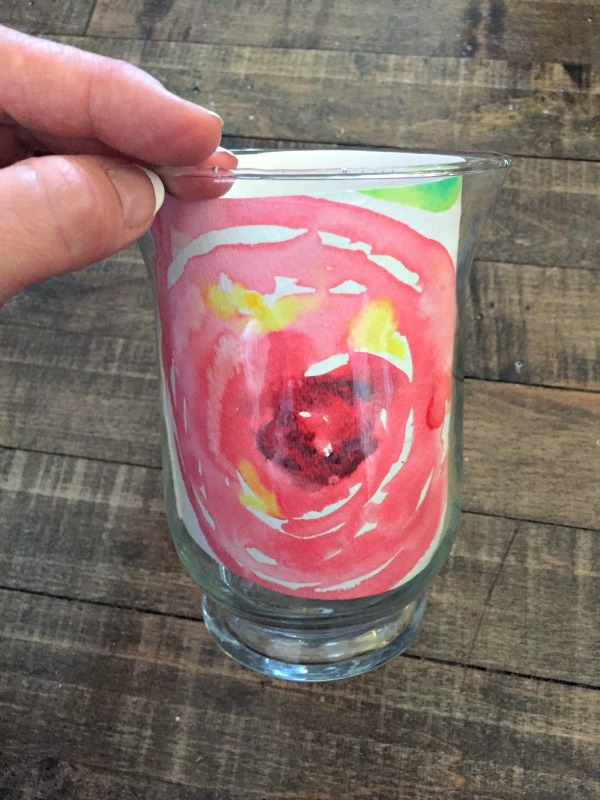 Lucy over at Craftberry bush showed a tutorial for how to make roses like this. Beautiful! I LOVE craftberry bush!!! I wish I had known that, as I would have loved to have checked it out before I jumped in ???? 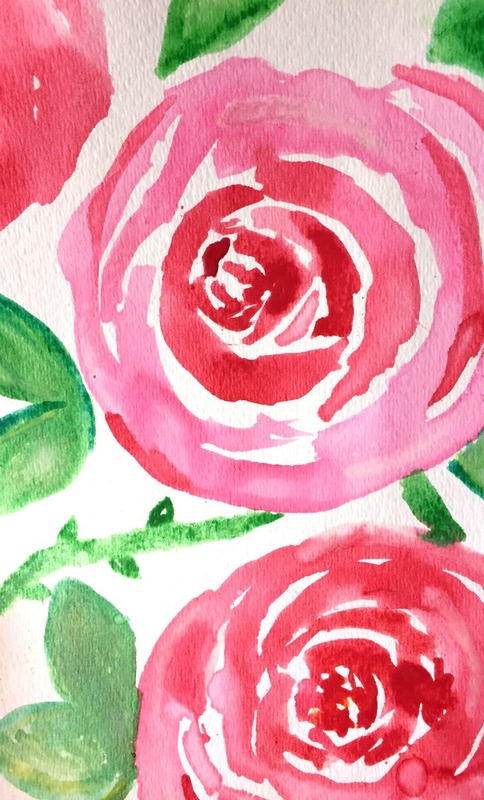 Love this rose design! I would frame it for sure! These are gorgeous!! 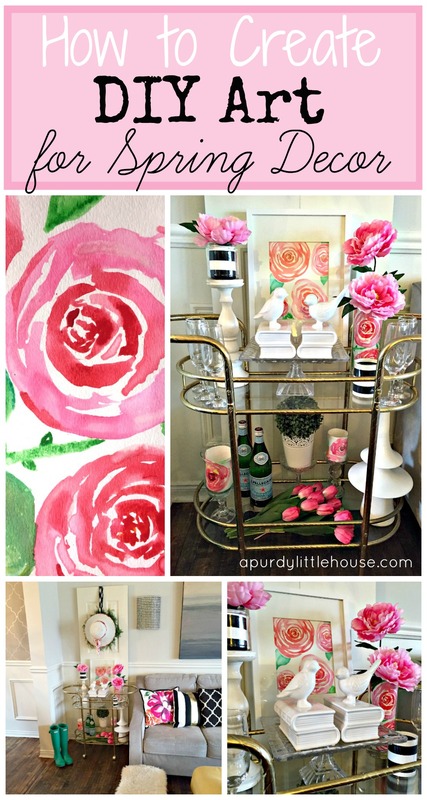 This would make an awesome mother’s day gift! Or teacher appreciation! 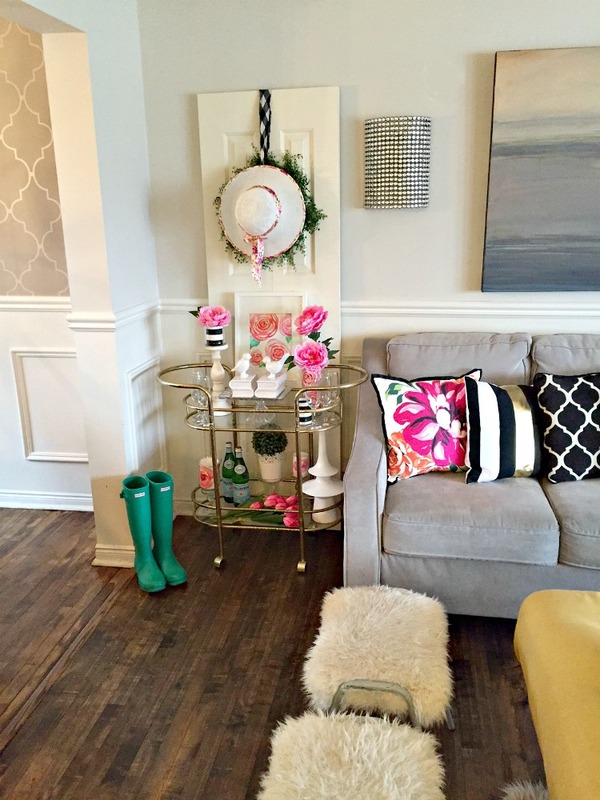 I love your decor ideas! It’s great that we can do it ourselves to spice up our home! 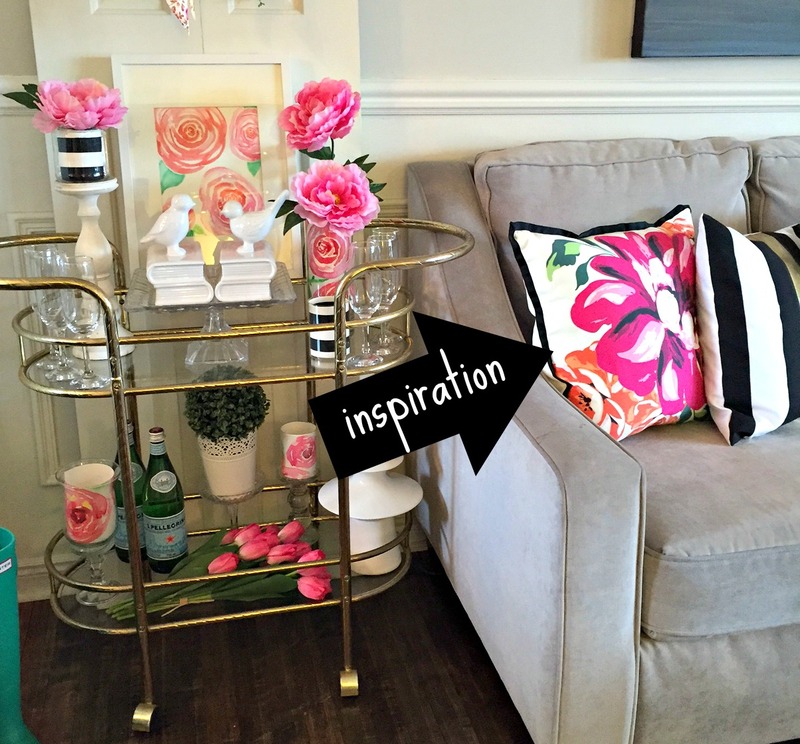 Love your inspiration pillow and you did a really nice job painting. Came together really great.